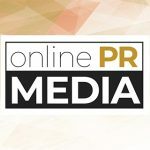 Online PR News – 05-February-2019 – Columbus, Ohio – Select Materials, a bulk landscaping materials firm in Colorado, has announced today that it is acquiring an industrial and frac sand mine located in Mount Vernon, Ohio effective Feb 8th 2019. The transaction is Select Materials second sand mine and first endeavor into the frac sand market. The site will be managed by CEO Michael Leister. Leister, 4, holds a bachelor's degree from Purdue University in Chemical Engineering, and a master's degree from Purdue University in Industrial Engineering. He joined Andersen Consulting (now called Accenture) in 1999 and led a team of 70 consultants in correcting and developing an energy company work flow management system and billing system. Leister has held various positions including a two year stint in the Boca Raton Florida area at Edward Jones as an investment representative. The majority of his career was spent at BP oil where he hired in as a refinery operator in the field. Later assignments included controls board operator, training supervisor, plant engineer, asset coordinator, business improvement coordinator, continuous improvement coordinator, and hydrocarbon loss measurement specialist. He has also built two small businesses and developed a few consumer products that were manufactured internationally and imported into the US for retail sale. For the last three years Leister has been managing Select Materials, a bulk landscaping materials and sand mine in the Denver Colorado area. A native of Colorado, Leister was born in the Denver area and grew up in the Midwest in Findlay, Ohio. Select Materials of Mount Vernon, Ohio is a producer of various industrial sand and frac sand materials. The firm specializes in the bulk wholesale delivery of these products by the truck load. Select Materials greatest attribute is its ability to produce custom industrial sand blends that meet customers exact specifications.